This Best Brunch roundup is updated as Beacon grows and changes, and was originally published years ago for those seeking syrup-topped weekend breakfasts. This roundup continues to be a favorite destination for those searching out the best brunch in Beacon, NY, so we want you to access an up-to-date list. Restaurants are a hot ticket in Beacon, so the number of brunch and breakfast offerings is on the rise. Below, you'll find a selection of brunch destinations, with more added as we explore them. If you're looking for a bacon, egg, and cheese sandwich, see our roundup here. Homespun was Beacon's original brunch destination. Famous for their deep-dish vanilla french toast or yogurt with fruit, or a delicious bowl of oatmeal, you will find something you like here. Drinks include beer, coffee and tea, and flavorful sodas like Orangina. Eat inside, or take advantage of the garden patio in the back during warmer months. Reservations not accepted; it's first-come, first-served. A great option for early risers, as they open at 8 am. Sundays only, Baja 328 serves up a full brunch with a Tex-Mex twist. Find a breakfast quesadilla, breakfast hash, french toast, eggs benedict, pancakes. Brunch and lunch are served at the Towne Crier Cafe, located in the "Market Square" district of Beacon, aka the middle of Main Street. The kitchen creates a new menu every weekend; they can be previewed in the restaurant. A full bar is available, so you may enjoy wine, beer or cocktails. The restaurant is large and can accommodate large parties. This sweet and savory crepe restaurant is located near our office here at A Little Beacon Blog, and we're not gonna lie: we eat there often!! Go in for an egg crepe or pesto chicken and mozzarella, and leave with all of that, plus a chocolate dessert crepe. And do order the Turkish coffee. If you have the coffee at the table, it will be served in something beautiful that you may never have experienced before. A beautiful, chic atmosphere, The Beacon Hotel offers inside dining with windows that open onto the street. Find eggs benedict, omelets, and even tomato soup. Speaking of tomato, you'll find an assortment of cocktails here as well. 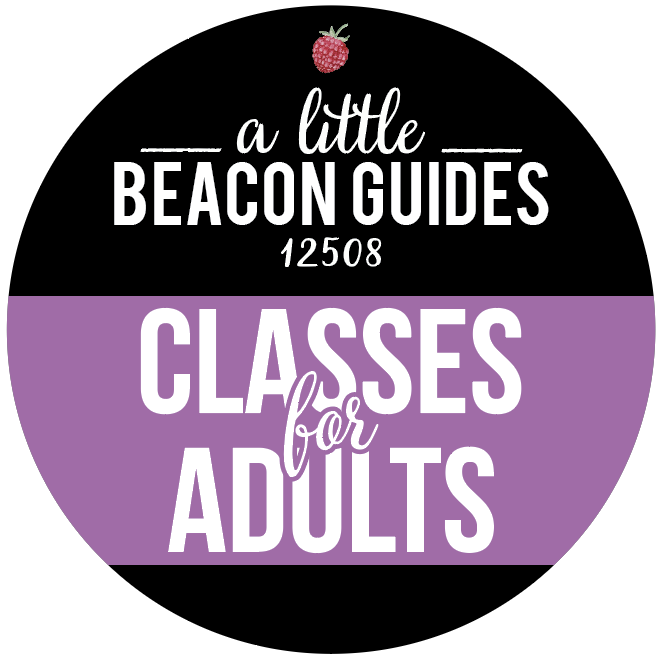 The Beacon Falls Cafe is an American bistro with a menu that serves variety. They do serve craft beers, and have outside seating on the front sidewalk. Brunch at Beacon Falls Cafe is quite convenient for those shopping at the boutiques located on the East End of Main Street, or if you're attending an event at the Howland Cultural Center. Brunch at The Roundhouse at Beacon Falls is perfect for large or small parties who are looking for an incredibly beautiful view of the falls. Dining here is serene, even in warmer months when you can hear the rushing water from a table nestled below street level, in the riverbank. A full bar is available, so you may enjoy wine, beer or their famous cocktails. Served from 11 am to 3 pm. Carbohydrate lovers will enjoy the selection of breads, croissants and other pastries. Eggs can be cooked your way, and grilled vegetables may be added to any order. Food with a Lebanese flair is on the menu, including homemade yogurt for those who crave protein with their french toast. During the warmer months, seating is available at picnic tables outside. Reservations are not accepted, and it's first-come, first-served. A great option for early risers. Dinner lovers of Kitchen Sink, famous for their Monday night fried chicken and mac and cheese among other dishes, are in for a treat - Sunday Brunch! Here's a hint of what is on the brunch menu: Latkes Benedict and Sticky Buns (whaaaaat). In nice weather, you can also enjoy brunching outside. Open Sunday only, 11 am to 2 pm. Beacon Pantry is a local favorite for elevated snacks like a croque monsieur, prosciutto cotto, French ham, grilled cheese, goat cheese salad, house-made granola, yogurt, chocolate croissant and other baked goods. Perk up with a cup of Stumptown coffee. Hungry families have their choice of Belgian waffles with fruit toppings, pancakes, french toast, eggs cooked your way, loaded omelets, hashbrowns, and the usual choices found in diners. This old-time favorite is sure to have a booth or table for you. Enjoy a milkshake while you wait. French Toast or a juicy burger...can't decide? Or maybe you want something lighter, like avocado toast. You will find these options plus creative cocktails at The Vault, but we warn you: they make their own whipped cream, so expect your meal to be tasty. While Ella's Bellas does not offer a traditional brunch that includes syrup, early risers will find the cafe open for a great cup of Tas Kafe coffee, a heartier latte, or a piece of quiche or bread pudding. Yogurts are available in this kid-friendly cafe, and garden seating in the back is a must during warmer months. Gluten-free eaters will love this bakery for the many truly delicious options on offer. Hungry weekenders and longtime locals welcome the fried chicken and oxtail options at BJ's Soul Food, served with a side of mac and cheese, collard greens, or whatever specials are on the menu for the day. Be sure to ask for their cornbread. The breakfast menu includes pancakes and eggs, and for dessert, enjoy a large slice of a triple-layer, homemade, frosted cake. A great option for early risers. 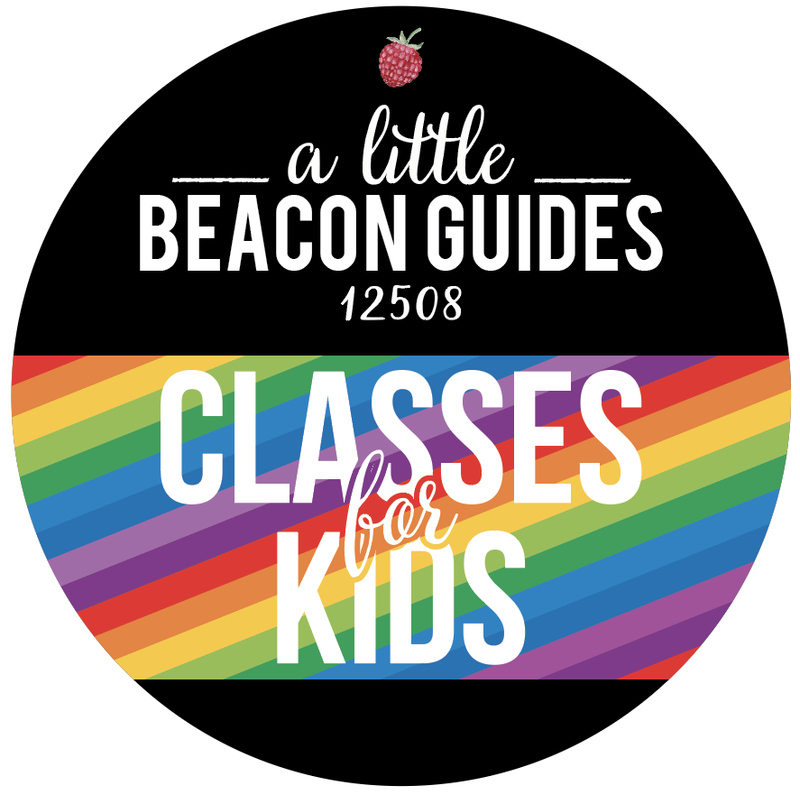 Beacon Bagel is sure to fill the bellies of large and small crowds, with or without children. Not so much a brunch, but a good weekend go-to for people on the go. We did a review of one of their breakfast bagels here as a great to-go option for those who need to hit the road early on a weekend morning. Several sandwich options are available, to be supplemented with coffee, juice and (why not?) cookies. To make your own top-notch brunch at home, find easy pancake mixes from Bob's Red Mill at Key Food, specialty syrups sold in several of the above-mentioned cafes, and delicious bacon and house-stuffed sausage at Barb's Butchery, located at 69 Spring Street, on the other side of the bridge at the Dummy Light. 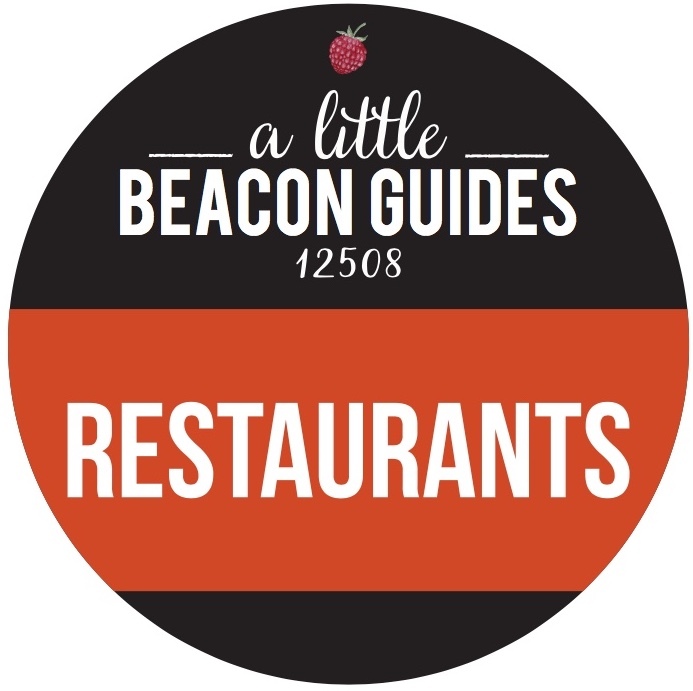 For a full list of all restaurants in Beacon, where you can find lunch or dinner despite a special breakfast menu, visit A Little Beacon Blog's Restaurant Guide.